Amazon has this Barbie Doll Inspired Party Gowns Set for just $4.99 shipped when you clip the $2 e-coupon right now! This would be a great frugal gift idea or stocking stuffer! It includes 12 dresses and 10 sets of shoes. Looking for a set that’s Prime eligible? 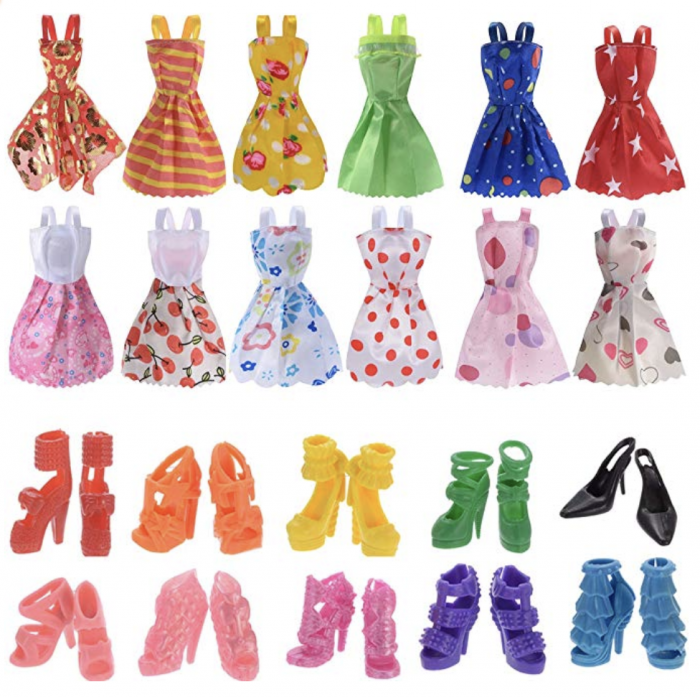 You can also grab this similar set for $4.39 that has 10 dresses and 10 sets of shoes. « Crazy 8: Extra 40% off Entire Site + Free Shipping = $2.15 Tees, $3.77 Leggings, plus more! It said I was not eligible for the coupon. No clue why.